Do some words have an upper age limit? 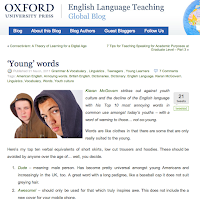 Words are like clothes in that there are some that are only really suited to the young. 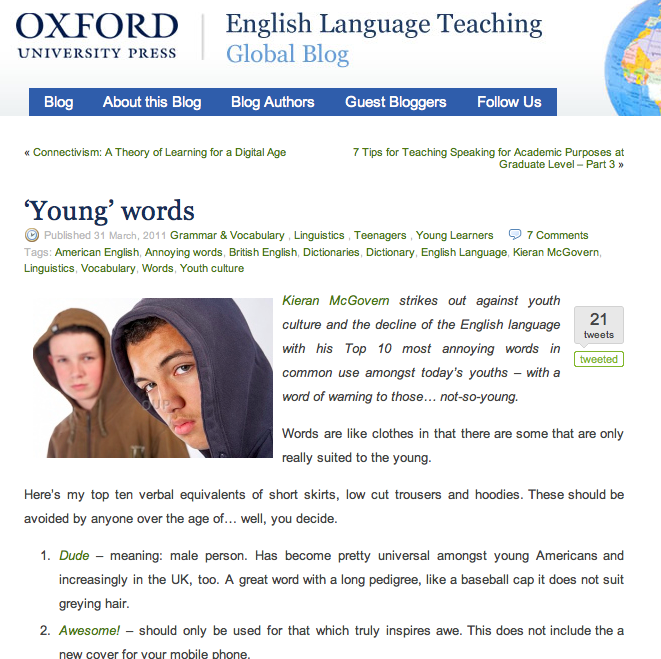 Here are my top ten verbal equivalents of short skirts, low cut trousers and hoodies. These should be avoided by anyone over the age of… well, you decide.